This quilt was one of my New year resolutions and I have to say in my eyes its a complete triumph. Not sure about this pic, it looks a bit blair witch!! approx size: 74 x 94"
Fabrics: Half Moon Modern layer cake; Bella white layer cake and Kona white. 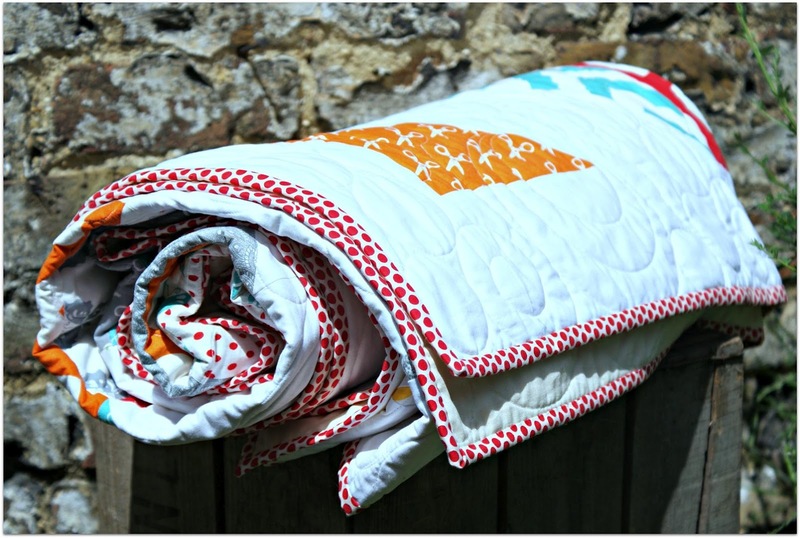 Quilted by Debbie at Longarm-quilting.co.uk using the CirclePlay design by Vickie Malaski. It's wonderful! I bet you get a good sleep under that! Quilts and death threats to children go hand in hand. Especially when they are as beautiful as this one. Well done! Woohoo - it's amazing!! I LOVE IT!! I love the matchy matchy bed. 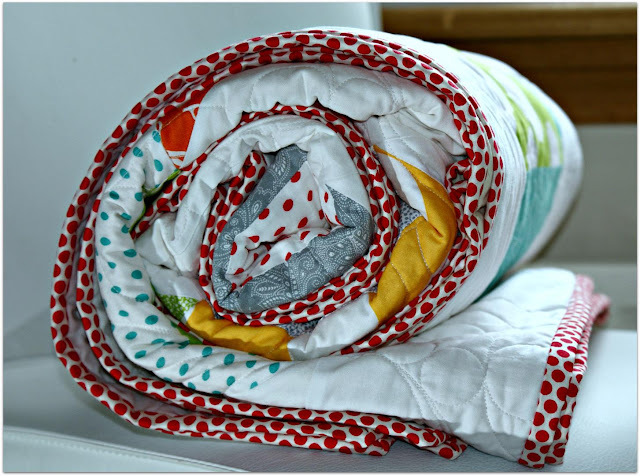 Your quilt looks fab but I absolutely LOVE the circle cushion - very cool. This is beautiful! Love the spotted binding too! Wowzers!!! Stunning quilting, and I love the "Blair Witch"ish photo! Wow! I love it - especially love the last pic with the pillows - fantastic! Gorgeous. Love it on your bed! Congratulations on a great finish! oh my gosh - it is perfect in every way!! You have every right to be super proud and happy! This is gorgeous!! The cushions look fabulous!! Wow!! wow! it looks fantastic... boys ... BEWARE!! 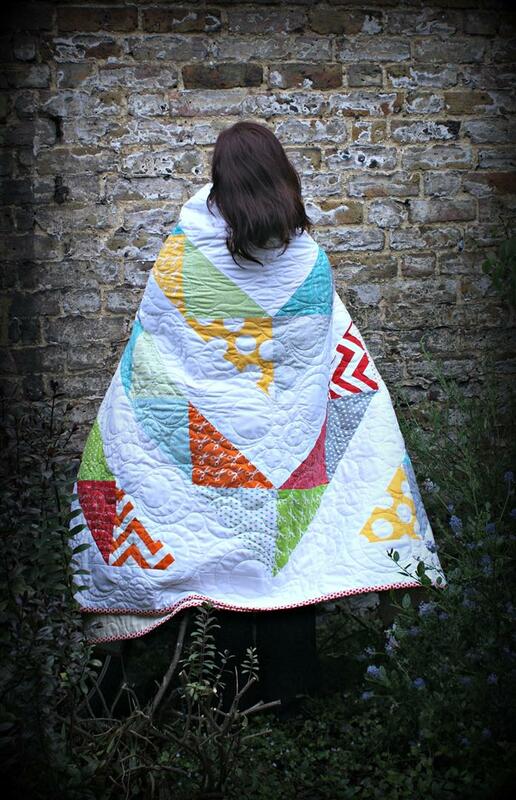 Oh it looks stunning, well done you - love the quilting too. Ohh it's fabulous!! I love the matching pillows too! It is sooo wonderful! 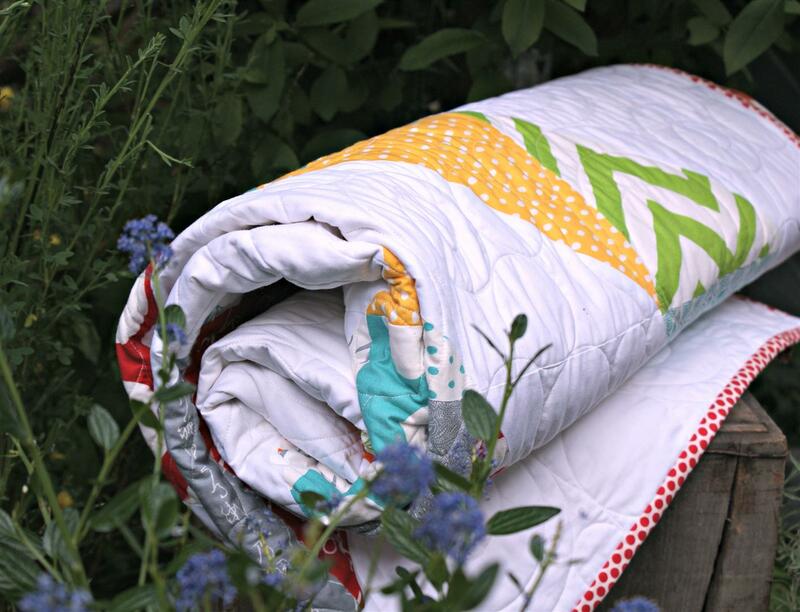 The quilting and binding are so fun! Oh it is beautiful! 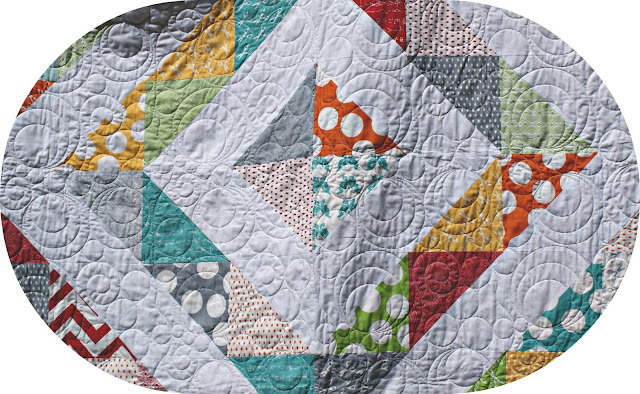 That quilting is amazing! Very nice. I like the witchy pic as it helps me realize the scale of the quilt. It's big! Way to go! WOW! 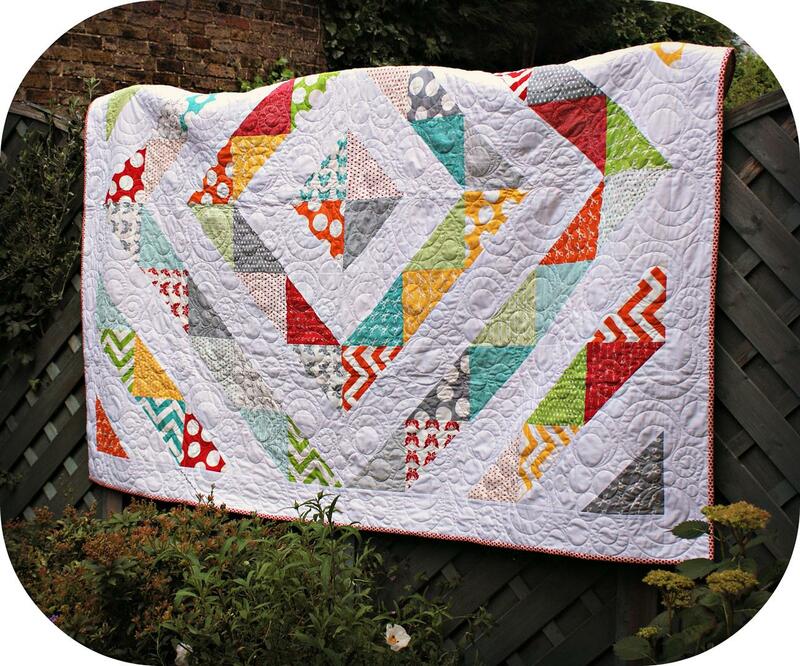 It looks great, love the quilting on it. Gorgeous! 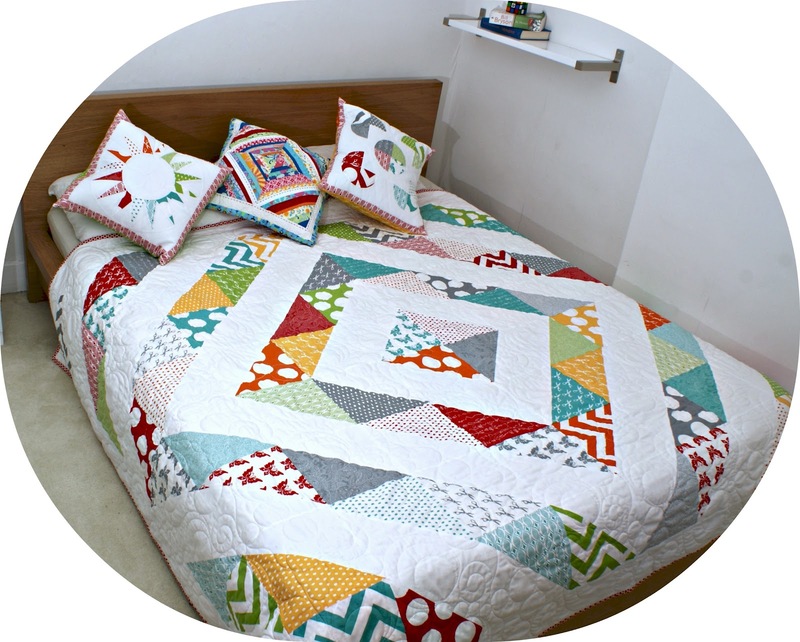 It looks great on the bed with the pillows and I love the circle quilting! Looks great on the bed! Nice work! The good, the bad and down right ugly! Blog hop - I'm up!! Did my absence make your heart grow fonder?